In this tutorial you are going to learn how to block all facebook quizzes. This is not a default option on Facebook but is possible through the use of a Firefox extension. 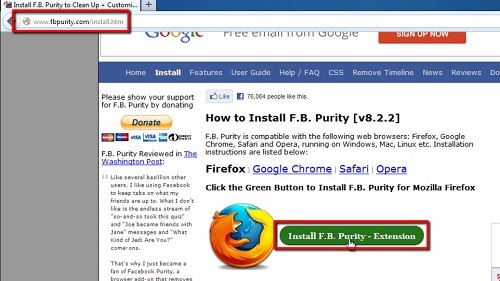 You are going to need to install FB Purity so visit the website “http://www.fbpurity.com/install.htm” and click on the green button that reads “Install F.B. Purity – Extension”. Click the “Allow” button that appears at the top left of the browser window. In the window that appears click install and then click “Restart Now”. 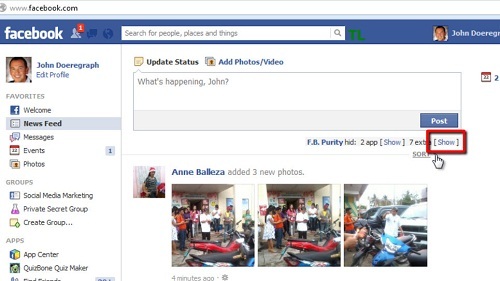 Once Firefox opens again, FB Purity should have been installed. To check this navigate to “www.facebook.com” and make sure that you are logged into your account. On the home page where various quiz invitation normally appear you should see a small bit of information informing you about what has been blocked. Click on the “Show” button to see what the extension has blocked. This is the simple process for leaning how to block all facebook quizzes.